HOLLYWOOD—Few film documentaries tell the story of documentary filmmakers. The story of Kit Lambert and Chris Stamp, British filmmakers who in the Swingin’ Sixties approached an up-and-coming band called The High Numbers (which became The Who) to illustrate the underground music scene brewing in London at the time, was irresistible to filmmaker/musician James D. Cooper. 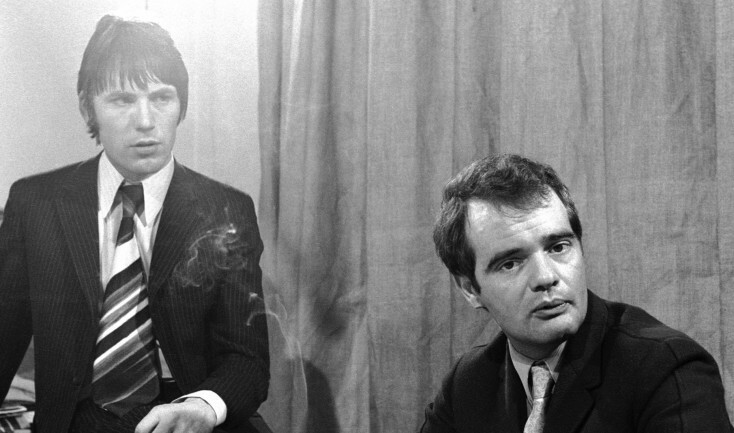 Lambert and Stamp filmed the rock and roll quartet at London’s underground clubs but never made a film. Instead, they became the band’s managers and producers. 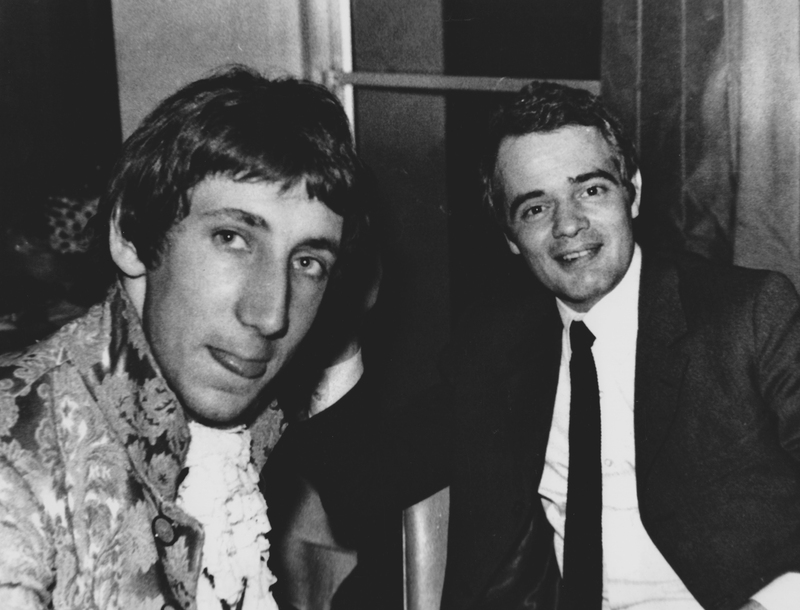 The resulting documentary, “Lambert & Stamp,” tells the story of the flamboyant, odd couple, who used their powers of persuasion and boundless energy to shape The Who (Pete Townshend, Roger Daltrey, Keith Moon and John Entwistle). The film features interviews with Chris Stamp (shot in 2005), lead vocalist Roger Daltrey, guitarist/songwriter Pete Townshend as well as Stamp’s brother, actor Terence Stamp, Roger’s wife Heather Daltrey, and others that were part of the duo’s inner circle. A musician as well as a filmmaker, Cooper takes audiences on a surprising ride of two mercurial and enigmatic artists/businessmen who shaped one of the most exciting rock bands of all time. His debut film also examines the sensitive and frightening bonds that make it possible to create. Q: Talk about getting the ball rolling on this. Was it difficult to put together? Cooper: Actually, it wasn’t that difficult. The first thing we did was go to Chris Stamp and proposed the idea to him. He, obviously, was in a completely different part of his life. Going back into the maelstrom of those early years with Kit was ultimately difficult and painful. There were complications in going back and revisiting that. He would get quiet and think about it very deeply and intently. I got a call a couple of months after (I asked him about it) where he said if I was willing to put myself through this, I would have his complete and unconditional support and availability. The rest fell into place. I then went to Pete Townsend and Roger Daltrey, and from there I cast the rest of the film. I wanted to keep it intimate relative to the emotional realities of the relationships. Q: Was this the first time Chris Lambert had participated in a documentary? Cooper: He’d been interviewed for other things, and it wasn’t just about The Who, but also (co-managing and producing) Jimi Hendrix. He termed it “doing service.” He would always show up for anything people wanted to know about Jimi Hendrix or his time with The Who, but he was never—sadly—brought in to talk about himself. He also was interviewed for books. But his story is unique and outstanding. Q: Lambert and Stamp’s story would also make an interesting biopic. Cooper: Yeah, it was the love story that really attracted me. Q: You interviewed Chris a decade ago. Why has it taken this long to get released? Cooper: (groans) That’s a painful question. There were a number of things that influenced that: just the challenges of making a film independently, the diplomacy of working with a deity and guiding Chris Stamp through his story took time. Q: Did he get to see a cut of the film? Cooper: Sadly, he didn’t see one frame of the film. He was insistent early on that it was done independently. He did not want the idea that it was coming from him or The Who, but that it was done, independently, through me. He completely trusted me, trusted the production. He was completely available and never demanding about anything. Q: Kit would probably have made you show him every frame. Q: These guys are filmmakers who set out to make a documentary and ended up being managers and music producers. Cooper: And not, ironically, knowing anything about the music business. Chris told me that Kit didn’t even know what rock and roll was. Q: His father was from the classical world. Cooper: Even that was complicated because while his father was (composer) Constant Lambert, there were all the dynamics that come with a daunting legacy. He was left alone a lot. I think it was unlikely that he would have gone into the music business without the partnership with Chris. They thought filmmaking was going to be the vehicle to express what they were feeling. Q: You have film of them back in the day, not just The Who. Cooper: It’s interesting because back in that time when Kit and Chris were on the London scene, there were these French or German TV crews were flocking to London to film what this fabulous, swinging mod London sensation was. They’d say, “Who do we film?” The two of them were so captivating at the clubs, with the other people that were around, you couldn’t help but being taken over and captivated by them. So they were filmed a lot. Kit had filmmaker friends from Paris, who would come over and shoot. He was very well known and they were very visible. Kit spoke a number of languages, and Chris Stamp was absolutely gorgeous. Q: He could have been a rock star himself. Cooper: Definitely. So the camera found them, and they were very persuasive. Q: The Who was called The High Numbers initially, right? Cooper: Yeah, but they had been called The Who before, and Kit persuaded them to change it back to that name. They were competent filmmakers. They weren’t so interested in filming the band; they were interested in the audience. They were trying to make a film on the predicament of the post-war youth in London. They weren’t interested in being rock guys. When they went into this club to film The High Numbers, they were obsessed with the audience because that’s where their thesis was. Every now and then there was a shot of the band reminding you that they’re there, but they were more interested in filming some kid rolling around on the floor. Q: It’s like the band is the backdrop to what they were shooting. Q: When Lambert and Stamp took over The Who’s management, there resulted the lawsuit with their former manager Shel Talmy. The documentary doesn’t spend time talking about the lawsuit, though. Why? Cooper: When I set out to make the film, it was more about the relationships and the emotional realities of the process and the extended family as opposed to the trivia and whatnot of the deals and the records. It was more about the family dynamic. It’s not as much the details or examining the occurrences of legal hardships or financial hardships. It was more how the main characters—primarily Chris Stamp, Pete Townsend and Roger Daltrey as the survivors—more what they did with that emotionally. (It’s about) how they transcended to the next situations as opposed to a case study. That might be good material for a book or magazine but when you work with living people, you want to work with the living realities. If I had gone to Roger or Pete and said I want to talk about the legalities of the record deal or the money, they would have said, “Well, you don’t need me.” That’s all been done and dusted. When I went to them I was very specific about how I wanted to have a living conveyance of the essence of the relationships, because that’s what made the whole Who thing work. Q: You don’t mention Chris’ death in the film. Why? Cooper: The film isn’t a tributary film. The story’s about him and Kit. So there’s this sort of energy and synthesis we’re showing on the screen. It’s not one; it’s both. We also had Keith Moon and John Entwistle (who died). I didn’t want to make a tribute to somebody. They were very alive and participatory within the dynamic of the film, and (Chris’) story transcends his own circumstances. It’s a universal love story. Q: Where did he Chris see his place within this dynamic? Was he the brains of the operation? Cooper: Where the one began and the other left off is one of the great riddles of co-dependence, even extending to the band. Schematically, they worked out that Kit would be in the studio with the musicians and Chris would be like the overall executive producer. They worked closely together on everything. Each was adept at certain things. Kit had a certain way of communicating. Through his background, he was exposed to classical music, so he knew where to go and what to emphasize with Pete. They had a particular dialogue. Chris, coming from the (working class) East End, had a very creative input. He had the streetwise, survival element that gave a kind of immediacy to The Who. He insisted on the feedback in The Who’s recordings, because those were the sounds of his youth. He brought the stuttering in “My Generation.” He knew that kids did that when they were up on amphetamines. Pete and Roger told me if either had approached them individually about managing the band, they would have said “no.” It was the two of them. They were both unqualified with no previous management experience, but together, they were a force to be reckoned with. Q: Why did you pair Chris with Heather Daltrey in the interviews? Cooper: At a certain point, I felt like the film needed some female energy. Also, Chris and Heather knew each other for a long time. When Chris and Kit were filming The Who, Chris showed her a picture of them to Heather and she said they weren’t good-looking. So Heather and Chris knew each other. It was just another window. Chris was one of the most fascinating, captivating people I’d ever known in my life. He had qualities. He was very tough. He was also extremely sensitive. He had a lot of different energy and he also was very beautiful. He was a visionary, but he also was a realist. He had feminine energy. He would reflect the light of people around him and I wanted to see that in the interview. Q: That was a fun bit of footage you got of Roger and Chris discussing something quite heatedly in Roger’s backyard, which the viewing audience is not privy to. Cooper: I’m a longtime cinematographer, and I know to look for that. I’m constantly observing, and when you’re making a film about relationships, that was just a little something I nicked. I wanted to show that this (relationship) was ongoing, even after they weren’t managing (The Who by then), the presence and the feelings and emotions don’t go away. Q: What are Roger and Pete’s reaction to this?